Yellow Perch near Port Clinton, Ohio. Plan you fishing charter on Lake Erie with special rates. "Internet Charter Boat Fishing Specials"
Fish a full day for both Smallmouth Bass and yellow Perch! Lots of fishing while on Lake Erie! Great way to end the summer! be sure to ask the "Special Rate"details. The best way to get a full day fishing and target both species the same day! Spring or fall, fish for both trophy walleyes and big yellow perch in the same day! Most days, the perch can average 9 -13 inches, while the walleyes can average between 22 and 28 inches, with some even exceeding 30 inches. We will leave the dock at 7am and return by 5 pm, for 10 hours on the lake. 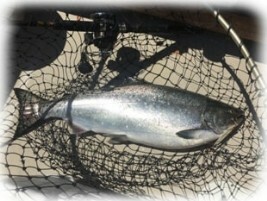 Fish for the 2 best eating and sport fish that can be found in Lake Erie. Lake conditions will dictate success, but on most days, trolling will be the preferred method for the walleyes, while anchoring and fishing live bait for the perch, is the norm. Special price discount offered for 2 day or more charters Save when you fish multiple days out of Olcott, New York. Special pricing are only good for full day charters. 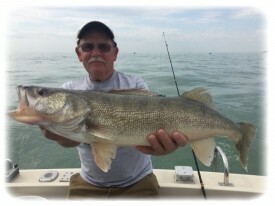 "Now is the time to plan your fishing charter on Lake Erie"